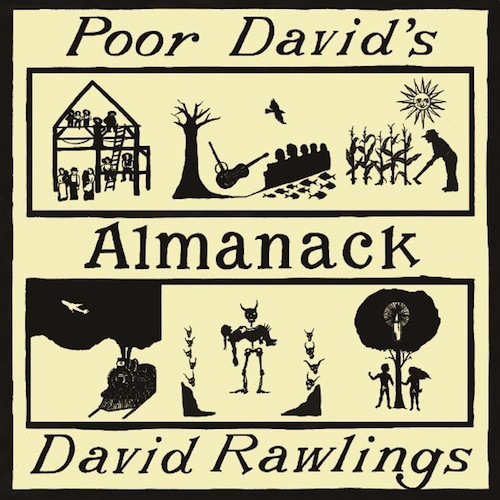 David Rawlings is set to release his third album, Poor David’s Almanack, on Aug. 11 via Acony Records. The 10-song project was crafted by Ken Scott (Beatles, David Bowie) and Matt Andrews on analog during a week of sessions at Nashville’s legendary Woodland Sound Studios. Rawlings and longtime compatriot Gillian Welch joined together with Willie Watson, Paul Kowert, Brittany Haas, Old Crow Medicine Show’s Ketch Secor, and Taylor and Griffin Goldsmith of Dawes for the new album. Poor David’s Almanack marks the eighth studio collaboration between Welch and Rawlings, whose creative partnership spans over two decades. The two were honored for their artistry with the Americana Lifetime Achievement Award for Songwriting in 2015 and the Berklee American Masters Award in 2016. Rawlings’ band, the all-star Dave Rawlings Machine, will embark on the first leg of a national tour in August to support Poor David’s Almanack, as well as perform favorites from the first two Dave Rawlings Machine records, A Friend of A Friend and Nashville Obsolete.